Patrick O'Brian's Aubrey-Maturin tales are widely hailed as the greatest series of historical novels ever written. It is still the War of 1812. 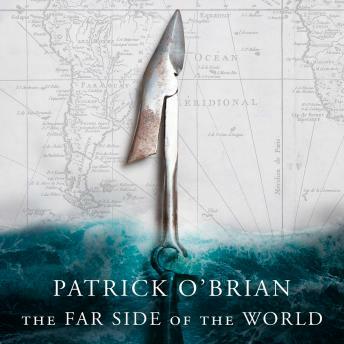 Patrick O'Brian takes his hero Jack Aubrey and his tetchy, sardonic friend Stephen Maturin on a voyage as fascinating as anything he has ever written. They set course across the South Atlantic to intercept a powerful American frigate outward bound to play havoc with the British whaling trade. If they do not come up with her before she rounds the Horn, they must follow her into the Great South Sea and as far across the Pacific as she may lead them. It is a commission after Jack's own heart. Maturin has fish of his own to fry in the world of secret intelligence. Aubrey has to cope with a succession of disasters - men overboard, castaways, encounters with savages, storms, typhoons, groundings, shipwrecks, to say nothing of murder and criminal insanity. That the enemy is in fact faithfully dealt with, no one who has the honour of Captain Aubrey's acquaintance can take leave to doubt.